As many are aware, Spain is a country of basically many different countries. 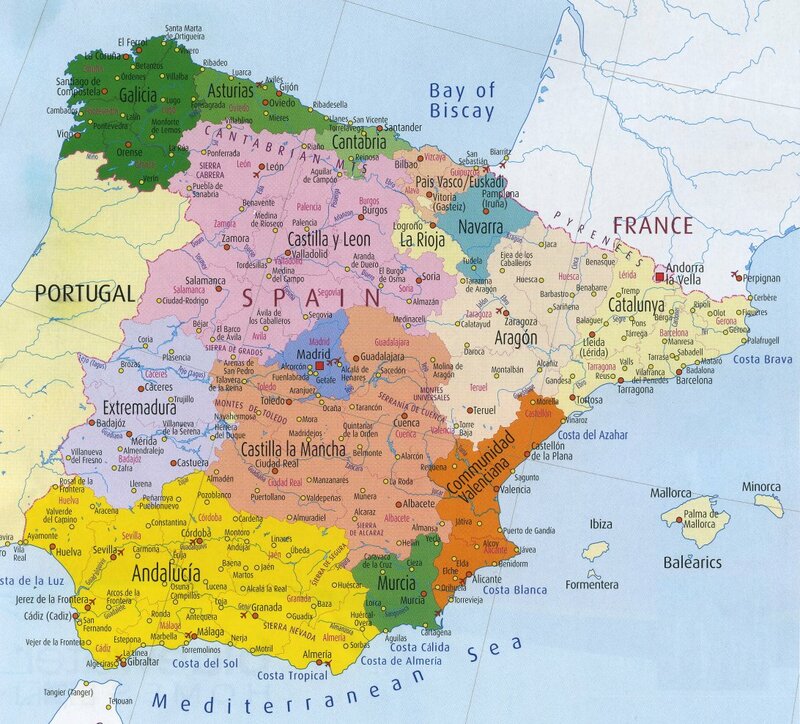 Each area is different from the next – Cataluña, Basque Country, Andalucía, and Galicia to name a few. While all being Spain, at least for now (see: secession), they are all markedly different from the next. All have just about their own language, culture, and traditions. My travels through Spain have primarily centered on southern Spain during my study abroad experience. In fact, I never made it north of Madrid in Spain during those six months. However, my first trip to Spain started in Madrid and went north around to Barcelona. I’ve seen a lot varying of the country, even though I’ve only lived in the south. While I love Andalucía, and specifically the city of Granada, I have decided to move north for my year teaching English in Spain to the region of La Rioja, a region I’ve never even visited. This unexplored area instills a large amount of excitement in me for a variety of reasons. 1. It’s unexplored and new to me. As I eluded to previously, much of northern Spain will be new to me. New places to visit, things to see, and traditions to discover. I cannot wait to be able to take it all in and learn about and live in a new part of Spain, a country in which I hope you can sense my deep affection for. My past travels in the area consist of brief stay in Burgos, Bilbao, Zarautz, San Sebastían, and Pamplona. Barcelona too, although I excluded it as I see it as separate from the rest. These were all seen as either day trips or a one or two night stay on a whirlwind trip during high school. I know there will be so much I want to discover and unearth. 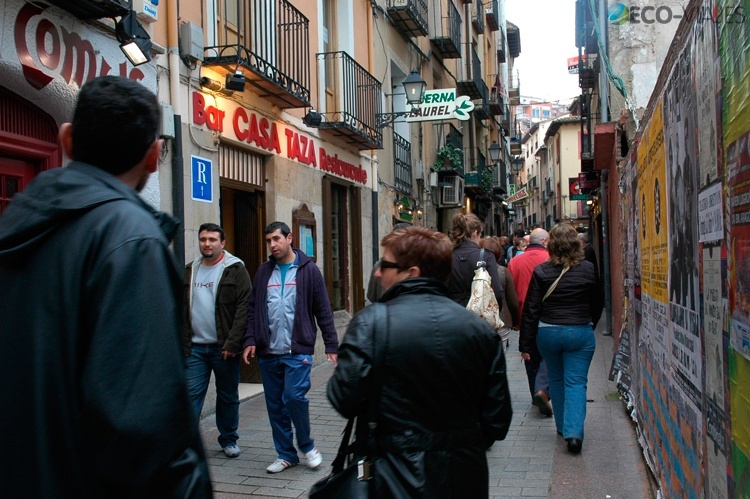 I remember arriving in Granada and the excitement that ensued in exploring a new city. Every new bar, plaza, and sight was enthralling and heightened my senses. That feeling is something I crave and drives me to travel more. In exploring a new area of Spain, I’m sure to evoke these feelings again. Yes, yes, yes. Granada was the land of free tapas. Pinchos are not free. However, from everything I have read, especially on Gastronomic Nomad and Young Adventuress, about La Rioja and Logroño is that the pinchos are to die for! I’m still not 100% sure of the distinction between the two, and in all honesty, I’m kind of waiting until I get there to delve more deeply into this question. For those who are curious though, as I am too, some brief research has lead me the answer that tapas are typically small portions of food that can be made into large quantities (raciones), while pinchos are usually more of a single food item that you could get more of. 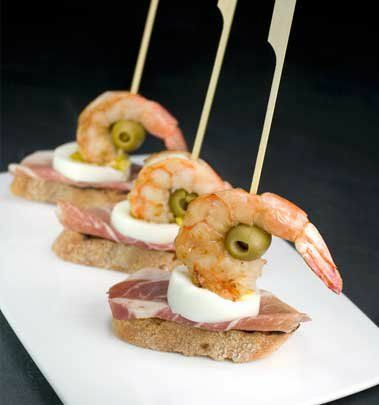 Traditionally, pinchos are served with a skewer in them too. There will be more on this after I arrive in Spain in roughly 4 months!!!! 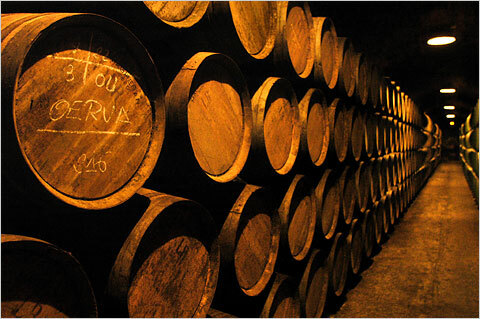 La Rioja, situated between Madrid and the Basque Country, speaks more of a traditional Castillian Spanish. When I lived in Granada, they spoke with an Andalusian accent which was incredibly difficult to understand at first until my host mom explained it to me. I’ve often heard Castillian Spanish referred to as “pure” Spanish. It’s spoken much clearer than the Spanish in Andalucía. I believe that this will help with me improving my Spanish when I arrive in Spain. I should point out that I do love the Andalú accent though. It may be a love/hate relationship, but I still love it! La Rioja is usually associated with wine in people’s minds before they think of it as an autonomous community within Spain. That’s because La Rioja wine comes from this region. Therefore, there will be plenty of wine to go around, and I presume it will be relatively inexpensive which will fit my auxiliar de conversación budget of 700€ a month. 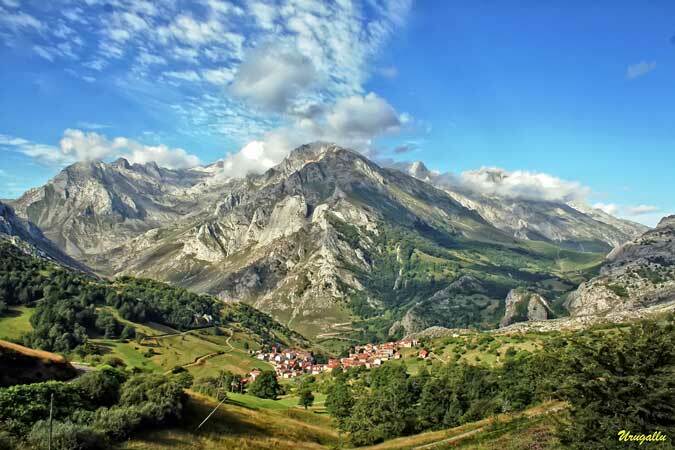 I enjoy hiking and outdoor adventure so having a highly touted National Park located right in northern Spain is pretty exciting to me. It’s just a bonus that every picture I have seen of the Cantabrian Mountains that make up this park are beautiful to say the least. Saying that I’m looking forward to exploring this area is an understatement. Supposedly the name meaning “Peaks of Europe” in English originated because the mountain peaks were the first part of Europe ships coming from America saw. True or not, it’s a pretty cool story. The food and cider in the nearby community of Austrias isn’t supposed to be half bad either, but then again, what food in Spain is bad?! Sounds good to me. I have to agree with the love/hate of Andalu. 🙂 gee I think I am as excited about you going as you are. Lol! Haha! September is approaching fast!! Mmmmm Rioja + pinchos…that is something I have got to try before I leave!!! And I agree with you as well about having a love/hate relationship with Andalusian Spanish. I’ve said it before and I’ll say it again: I can better understand my teachers here when they’re having conversations among themselves in Galician *better* than I could last year listening to my Andalusian teachers speaking in Spanish. Oh well. You’ll be welcome to come to visit! 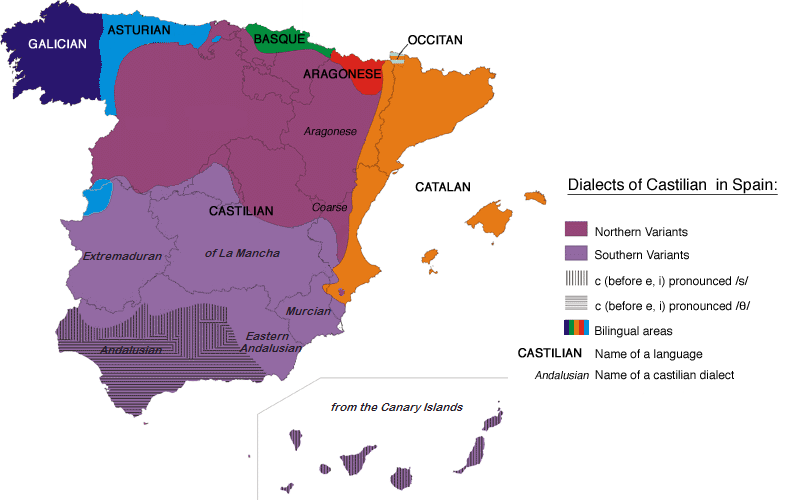 It’s funny how Andalusian Spanish is almost a language itself. I think it’s really cool that you can understand the Galician as good or better than Andalusian Spanish. Pretty crazy if you think about it! The north of Spain has my heart and always will! I’m hoping it will capture mine too! While studying abroad in Spain, the trip I took to Galicia – the coast, but also with explorations of Santiago and Leon – were my absolute favorite parts. I loved how verdant that region is, and it’s medieval Celtic feel. I’ve never been to Galicia before, so I’m really looking forward to visiting! hi Mike, i have seen you comment on other blogs, but i hadn’t got any idea that you too have a blog. i am sure that you will have a great time in La Rioja, and let me tell you that you are going to hear one of the most brilliant, broadest and clearest Castilian accent, if not the best!..to hear them is just a delight, and i know what i talk about because i am from Murcia. Thanks for commenting! I’m really glad to hear that La Rioja as a crisp and clear Castillian accent! You’ll have a great time in Northern Spain! It’s terribly underrated. You must visit Pamplona and San Sebastian! Also, try and attend the batalla del vino in Haro at the end of June, it’s a great festival that has managed to not get too infiltrated by foreigners. Also, pintxo is just the basque word for tapa, not sure if there is any real difference between them besides that. Enjoy your time! Thanks, Theresa! I really want to visit both Pamplona and San Sebastian. Oh, and if I am there in June, which I intend to be, I was to go to the Batalla del Vino in Haro. It looks like such an awesome experience! I sort of figured there wasn’t much difference between pintxo and tapa, but some places online said there was, so who knows. As long as they’re delicious, right? I suppose you have got a dozen places by now, but I live near Bilbao, and every few months we make our way to Tirgo/Cuzcusrrieta, to go the Co-operativa de Vino winery there, and pick some “Boxed Crianza”, called Tinto de Madera. Supposedly left-over Crianza that cannot be bottled because of quota limits. It is a very good, and comes in an amazing 10-litre aluminium pack in a box for around 13-14-15 euros (price varies) with a tap. Load up a few boxes for ourselves and friends & we are set. The special pack/tap keeps the wine good for months. There must be similar wine direct from a winery where you live. That sounds like a great deal! I’ll have to check to see if any wineries near Logroño do that. Otherwise, I’ll have to come up to Bilbao!